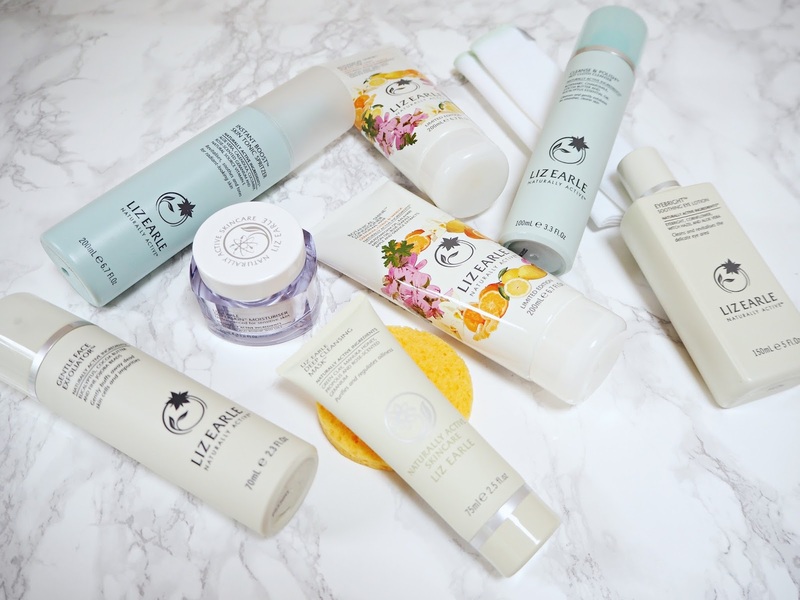 Liz Earle is one of those classic brands that seems to get overlooked, however her range has some amazing products at very reasonable price-points. 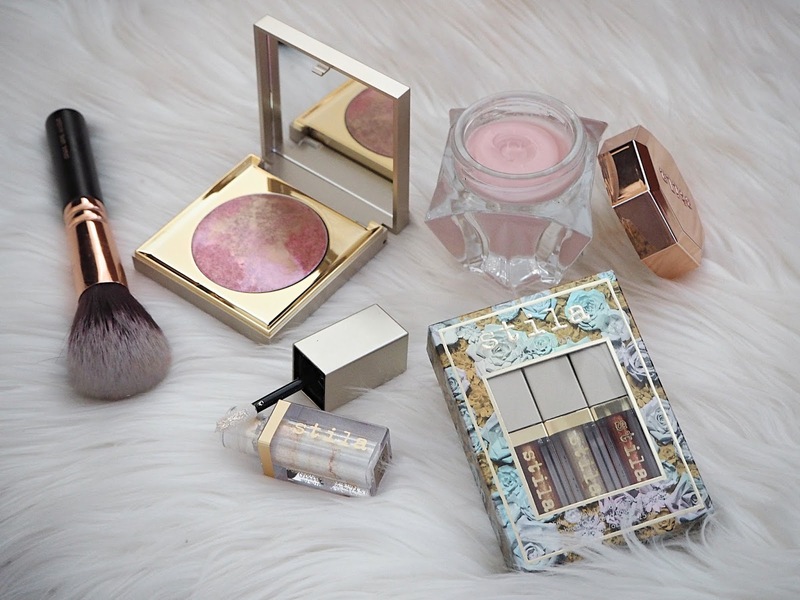 I recently got my hands on a mix of new releases and cult favourites from the brand so wanted to share my thoughts! 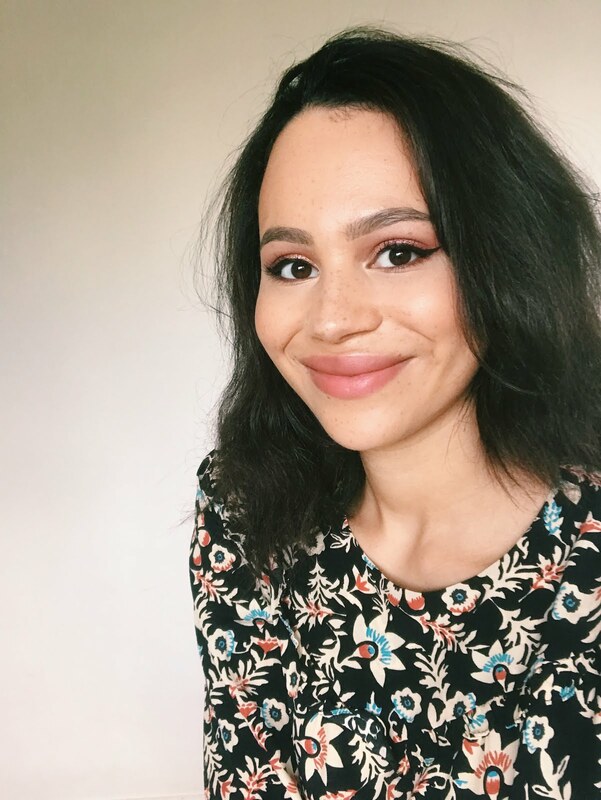 Instant Boost Skin Tonic Spritzer* | £15 | I don't know how I hadn't come across this before, as I love a face mist in place of a toner (especially when I'm in a rush). It is a proper pump-action spritzer so doesn't have a fine mist, however that doesn't bother me. It has a very slight, powdery-musk scent and leaves my skin soft and hydrated. It helps to soothe any redness with chamomile, aloe vera and cucumber, plus wakes my skin up nicely in the morning. You also get such a great amount of product for your money with this! Gentle Face Exfoliator* | £16.50 | This is a really natural facial exfoliator that's perfect for those with dry and sensitive skin. The particles are quite large and buff away dead skin gently. The formula is creamy and hydrating and the exfoliating particles don't feel at all rough on your skin. It may not be heavy-duty enough for some but it's a great one to use every day or every other day. Ingredients include eucalyptus, cocoa butter and jojoba beads. Cleanse & Polish Hot Cloth Cleanser* | £16 | This is a classic product and one that I've been through a couple of bottles of already! It's a very gentle cream cleanser that can be used in the morning or to remove makeup. It's about the only product I've tried that doesn't have an oily consistency and still does a good job of getting rid of even that stubborn black eye makeup. You just massage it in and remove it with a damp, warm muslin cloth, which exfoliates at the same time (this starter kit comes with one). It doesn't sting my eyes or leave any excess behind and it's the perfect quick and easy option that feels nice and fresh on the skin. The ingredients include chamomile and cocoa butter. Superskin Moisturiser* | £39 | This is one of those great all-rounder moisturisers; it doesn't have any fragrance and very gentle and nourishing. I do think this is suitable for sensitive skin too, so I know I'll be reaching for this a lot during the winter months. I'd say it's for normal to dry skin, however if you're combination but more on the dehydrated side, it'll still work for you. It's very moisturising without feeling at all heavy or greasy on the skin - however if I have one negative about this product it's that it doesn't contain SPF and I like having that bit of protection in my skincare. The ingredients include Omega 3 fatty acids, cranberry and rosehip oil. Eyebright Soothing Eye Lotion* | £15 | I definitely suffer from puffy and dry eyes sometimes, especially when I'm a bit tired! This lotion contains aloe vera and witch hazel to soothe the eyes. You can either soak cotton wool pads with it and leave them on for 5-10 minutes before bed or give your eyes a quick pat in the morning to look a little fresher. It feels so nice, cool and soothing and definitely makes me look more awake. Deep Cleansing Mask* | £17.50 | Based on the name of this, I thought it was going to be something really intense and perhaps a bit too heavy-duty for regular use, however the texture is really nice and lightweight. This means it doesn't harden in a really drying way on the skin. It contains green clay, manuka honey and aloe vera, making it soothing as well as cleansing. I removes oils without stripping my skin to leave it clearer and softer. Botanical Shine Shampoo* | £13 | These products have a lovely fruity-floral scent that's very soft and doesn't smell at all old-fashioned. I actually really liked this shampoo; it's not a total game-changing product for me, however I found my hair was clean without feeling stripped and it definitely had shine and looked healthier. Botanical Shine Conditioner* | £13 | This was also a really nice product with the same fragrance. It isn't at all heavy, which is definitely a plus, so didn't leave my hair feeling greasy. At the same time, it hydrated and detangled, leaving my hair soft and shiny. Overall, my hair looks in really nice condition when I use the shampoo and conditioner together. What are your favourite Liz Earle products? Disclosure - products marked * were sent to me for consideration however all opinions remain my own. This post contains affiliate links. I love Liz Earle products, I am going to have to treat myself to some of these! The hot cloth cleanser sounds amazing after a long day! I LOVE the cleanse and polish. Its the only thing Ive tried from Liz Earle before and i actually need to buy a new bottle of it soon. I have never tried Liz Earle! Her products aren't available in New Zealand but I've read so much about the brand on blogs I'm keen to check it out! I definitely need to try more from her range. I love the cleanse and polish. Liz Earle is one of my all time favourite skincare brands. I haven't tried the Shampoo & Conditioner yet though, it sounds lovely!